I'm not a music buff, but I know a great looking product when I see one! Says the Apple folks: "Look like a rockstar -- Your music says a lot about you. So should your iPod nano. A super-slim design says you always have room for music -- up to 2,000 songs, in fact. Durable anodized aluminum says you won't let the rough and tumble of everyday life ruin your groove. And one of five colours says whatever you want. Choose your hue and make a statement." Thanks Alisa for sharing your experience at the tents with us in good 'ol Manille! 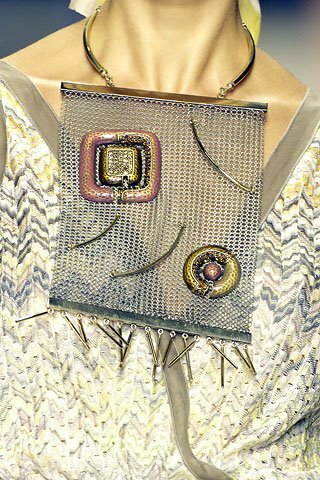 Back at the headquarters, I've compiled my top picks from the Missoni collection. 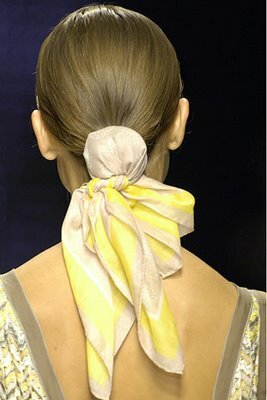 What a great way to tie hair like this in a bun! You can do this too with a Pucci or an Hermes scarf! Sorry for not blogging the past couple of days! I've been a casualty of the typhoon and electricity (even the generator wasn't working darn it!) was out the last three days! Good thing MFO's Milan Correspondent, Alisa, makes up for all those days unspent blogging and gives us a first-hand account of the Missoni Fashion Show, straight from the trenches of Milan Fashion Week! Read and see what it's like to be in the frontlines! 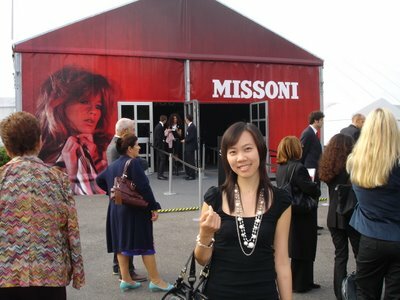 "The Missoni show was scheduled to start at 10.30am so we arrived at around 10am. People started to arrive at around 10.15am but the gates were still closed so most just waited in front of the tent. This is usually the perfect opportunity to check out what people are wearing and if there are some famous people. In this show, some came in Missoni (easily identified by the colorful knits) while others are in autumn ensemble, which means in colors black or gray, black tights or leggings, and boots. There were also photographers taking pictures of the attendees. I even got photographed! The photographer took a whole body picture, a picture of my handbag, and another picture of my shoes! 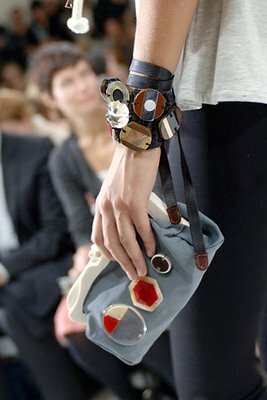 So it really pays to attend fashionably even if you are not in designer clothes. I was in Top Shop! They opened the gates at 10.30am and first to get inside are the press and buyers. 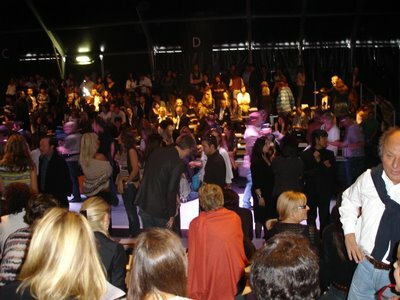 In a show, the press and buyers are usually seated opposite each other. The photographers and cameramen are, of course, at the end of the runway. I think the Missoni show is on the list of must-see shows of the press and buyers because the tent was packed. While waiting, some known Italian personalities got interviewed for television. After 30 minutes, the show finally started. The magic starts with the lights, then the music, then the model, then the flashing bulbs at the end of the runway. The music started quite slow but it built and built until it gathered enough momentum to be a rock song at the end of the show! The DJ who mixed this song is quite fabulous in my opinion because he worked with only one song. The entire show lasted for only 15 minutes. 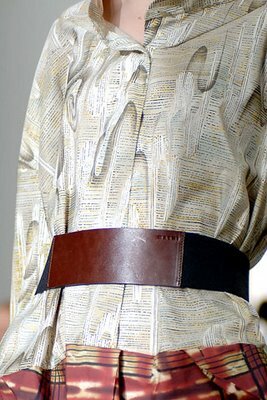 Missoni didn't use a lot of known models but all of them were really skinny to the point that they look quite anorexic. 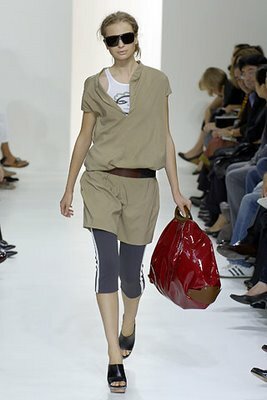 It brings to mind the banning of underweight models in Madrid. And I think there was something wrong with one portion of the catwalk because the girls kept on tripping. 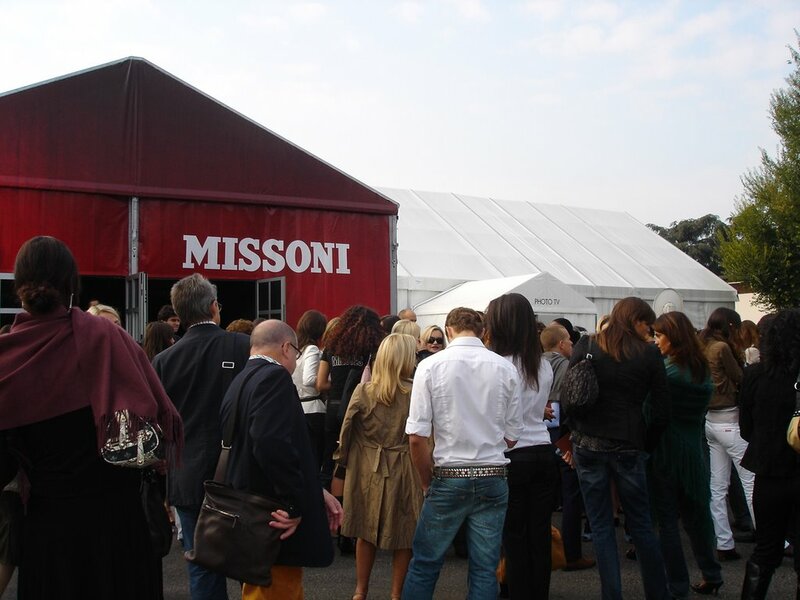 When the show started, we found ourselves standing next to the parents of Angela Missoni. Both Mr. and Mrs. Missoni were dressed in their trademark knitwear and wore proud smiles. In this collection, Angela Missoni showed only a couple of outfits in their colorful knits. 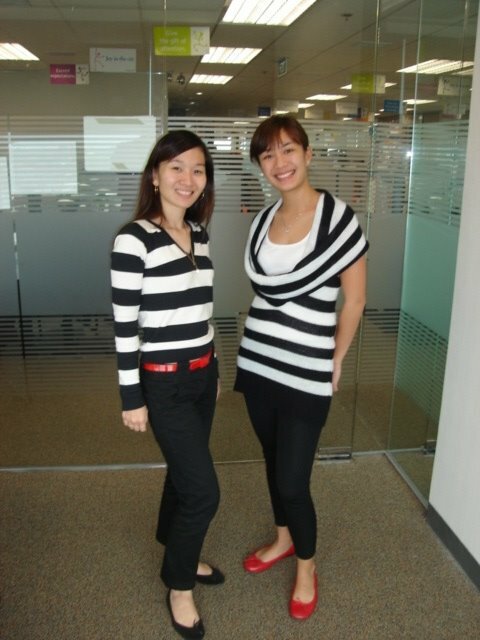 The downside is that you cannot identify it as Missoni anymore. 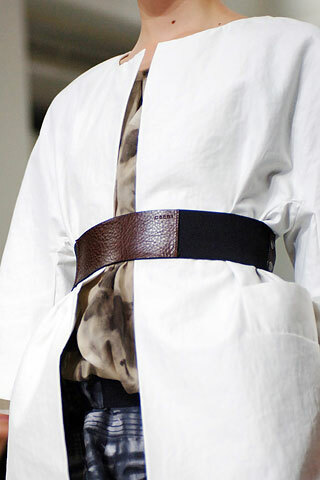 It came out more like Etro in the end." Ever wondered why French women are so chic? Chic meaning they have that certain inborn quality that sets them apart from the regular folks. (Heck, they even have a term to identify women who may not be gorgeous but have that certain je nais se quois; "jolie laide" or pretty ugly they call them. Only in France can "ugly" women still be considered attractive.) 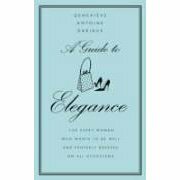 Anyway, I bought a couple of books yesterday at Fully Booked in Rockwell and the first book that quickly got separated from its plastic cover was "A Guide to Elegance" by Genevieve Antoine Dariaux. It could easily well be the book passed on from one generation of Frenchwomen to another, holding the secret to such chicness. Warning though, this is not for the stubborn and rational ones. Reading this is like your shrink telling you to go ahead and splurge on that dream bag because it will be good for you! You know, that there is no need to feel guilty, and that really, it makes total sense. Its not like this is the first time I've heard about this. Tito Johnny, my friend Nina's fabulous uncle and a valued client at Homme et Femme (thanks for letting me use your discount! hahaha!) has long instructed us on the virtues of French women. He said that Parisienne girls never give in to impulse shopping. They really save their salary to be able to purchase the best bag/coat/pair of shoes that their money can buy. You will never see them settling for the next best thing. Now that's what I call the wisdom of our elders! From a touch of red to pure red, these traffic stopping pieces will get you to dress up and paint the town, well uhm, red! Love the dress on the left, makes me want to dress up in a pinafore dress and loafers NOW!!! Btw, Sofi (right) is wearing dark brown platform brogues that I've seen in Zara Glorietta! Girls, if you're interested, those are at the Trafaluc section! Hmmm, these pinafore dresses are really something huh! Great news girls! I'm gonna freak out! Its confirmed! Kate Moss is collaborating with Topshop! 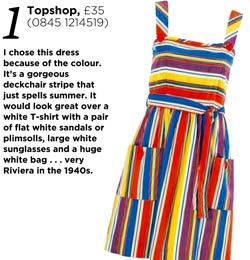 Clare Coulson of the Telegraph and Lisa Armstrong of TimesOnline dishes out the scoop of the season! It's a marriage made in heaven and one that has been on the cards, or at least on the rumour mill for much of the past year. Kate Moss, supermodel, celebrity and, according to many, the most stylish woman in the world, has teamed up with Topshop, the country's coolest high street store. Philip Green, who owns Topshop's parent group Arcadia, struck the deal personally after meeting Moss and deciding they should work together. 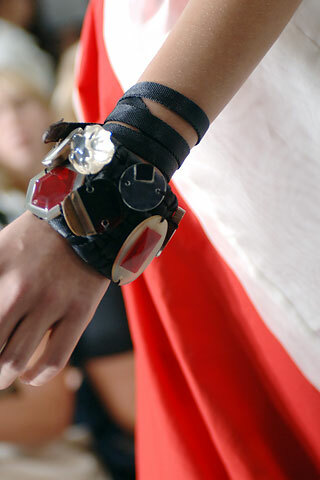 "We want to build this into a global brand," he told WWD. "She is a fashion icon in terms of the UK and this is what Topshop is all about in terms of fashion. Our customers identify with her." It's the kind of partnership other brands would kill for. The model's style and selling power are legendary. She can carry anything from a charity bag from Superdrug that costs just £2.99 (as she did a couple of weeks ago) to a Balenciaga Lariat bag and sales will go through the roof. She is more influential than many designers working today -- whatever Moss is seen wearing will almost always become a huge trend for girls in their teens or twenties to thirties and beyond. She has made skinny jeans de rigeur -- until of course she made an appearance at London Fashion Week on Sunday wearing vintage Chloe flares which will no doubt spark a huge mania for 70s-inspired denim. And although Moss is at the height of her profession -- despite a troubled year she is currently starring in at least 14 campaigns this autumn including Burberry, Dior, Longchamp, Louis Vuitton, Calvin Klein jeans and Versace -- it's a shrewd move and a logical step. Celebrity ranges in America by women such as Jennifer Lopez are a retail phenomenon. It also helps that Moss is a long-time fan of the store and has always shopped there -- mixing in cheap pieces with the rest of her ultra-stylish wardrobe. There is clearly no stopping Topshop. The brand, which is a high profile sponsor of many of this week's most interesting new talents -- is renowned for signing up some of the country's best young designers as well as more established ones. They are far and away the most creative store on the British high street if not the world -- during fashion week buyers from New York routinely make it their first port of call. When Celia Birtwell's collection was launched at Topshop earlier this year there were tears, tantrums and fights on the shop-floor. Anyone hoping to get their hands onto the very first pieces next spring should probably get into training now. SHE could have designed a line of clothing for any company in the world, but Kate Moss confirmed yesterday that from next spring the Kate Moss collection will be produced by Topshop -- and sold in all 308 branches of the high street chain that is part of Sir Philip Green's Arcadia empire. Today she will report for duty, accompanied by paparazzi, at the Topshop head offices in Central London. "I've always been a big fan of Topshop and regularly shop there," said Moss. "I love what they stand for and am very excited at the thought of working with them. It's going to be great fun." Moss' perceived fall from grace last year, amid allegations of drug use, was the demise that never was -- her earnings are rumoured to have quadrupled since. 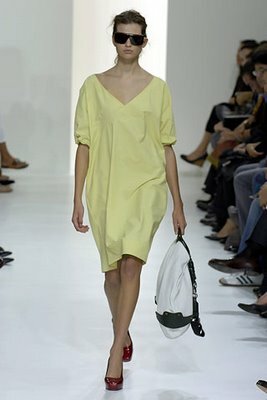 Given the 32 year old model's uncanny ability to sell by the tanker load whatever she wears, it is safe to assume that, no matter what she comes up with for Topshop, the waiting lists will smash records. The collaboration represents a coup for Topshop, in particular for Sir Philip and Jane Shepherdson, the chain's director. It is Shepherdson who has taken Topshop from a cheap and not especially cheerful purveyor of tat to one of the world's coolest names in fashion, with customers ranging from the average British teenager to Beyonce, Gwyneth Paltrow and Moss herself. But it was Sir Philip who coaxed Moss into signing. The two met last summer when he bid £60,000 at a charity auction for a kiss with her. As his wife was present, he passed on the prize nobly to Jemima Khan. The ensuing photographs garnered enormous coverage for Sir Philip. Further meetings between Sir Philip and Moss had spawned rumours of some kind of deal, although most insiders thought that the model would not commit. The deal clincher, according to Sir Philip, "is that she knew she could trust us". He added: "So many celebrities have been ripped off when they've collaborated on lines, but she knows that we're serious. This is about Kate developing her career beyond modelling. Having her model for this line isn't even on the table. This is long term. We're talking about building a major brand." Moss' agent, Sarah Doukas, added: "This is such a natural fit for Kate and represents a really exciting next stage for her career." This is not the average celebrity endorsement. Firstly, Moss is genuinely stylish, rather than a manufactured product. And both she and Shepherdson can be expected to set the highest standards for the Kate Moss for Topshop collection (as it will probably be labelled). In the bigger picture, this represents another leap forward in the democratisation of design and style. Topshop's phenomenal success underlines how important the role of designers has become in people's lives. "This is about the art of the possible," Sir Philip says. "We haven't finalised prices yet, but there will be something for everyone -- T-shirts for £10, jeans for around £50 or £60 and the ultimate Kate bag for somewhat more. It's about aspiration, but it won't be elitist. Kate knows that and she's keen to see what we can do together. When it comes down to it, she's really very sensible." I'm telling you, start saving up for the coming Kate Moss for Topshop collections. They are going to give us a run for our money! I don't know if this is good news or bad news, but this is definitely freakin' exciting! 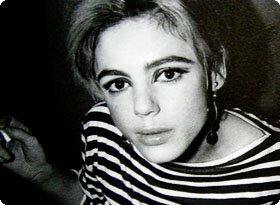 Edie Sedgwick, the original socialite/model/actress (and Andy Warhol's muse! ), was the "bad girl" of her time -- think Paris Hilton now. She lived fast, partied hard and unfortunately died young at 28. Sienna Miller, the reel Edie in "Factory Girl", says this about her character (from movies.about.com), "I just think anybody who is that self-destructive is intriguing. She had a real light. She was vibrant and fascinating and kind of started a big movement in the '60s, and burned out because she was misguided and abused. [She] just had an interesting life. I just think she's a pretty tortured soul, but that's quite fascinating in a sick kind of way." But as with all icons, she's still very much around. 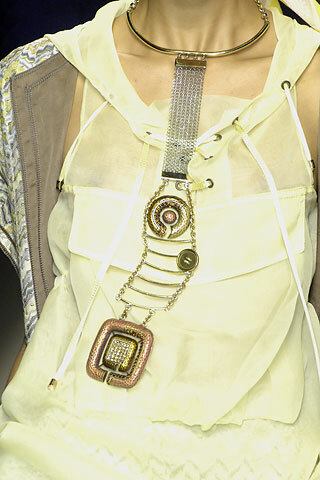 John Galliano obviously had her in mind when he came out with his fall 2005 collection for Christian Dior. And these Edie-inspired looks have have been updated with ballet flats, skinny pants on the left, leggings on the right, and a pop of red!